The contemporary Ballroom with capacity up to 260 persons, various menus of Western – Asian cuisine and a professional team help make your wedding memorable, from a wedding cake to a champagne tower and everything in between. 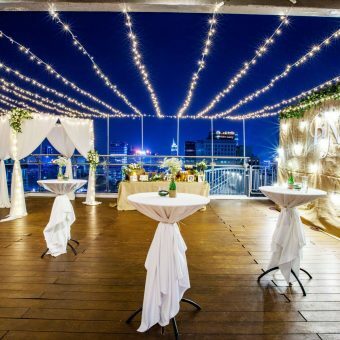 Wedding packages start from 7,690,000VND++/table of 10 persons (Price is subject to 5%service charge and 10% tax). Special offer: Complimentary 4 tables of 10 persons for weekend lunch reception (terms and conditions applied).